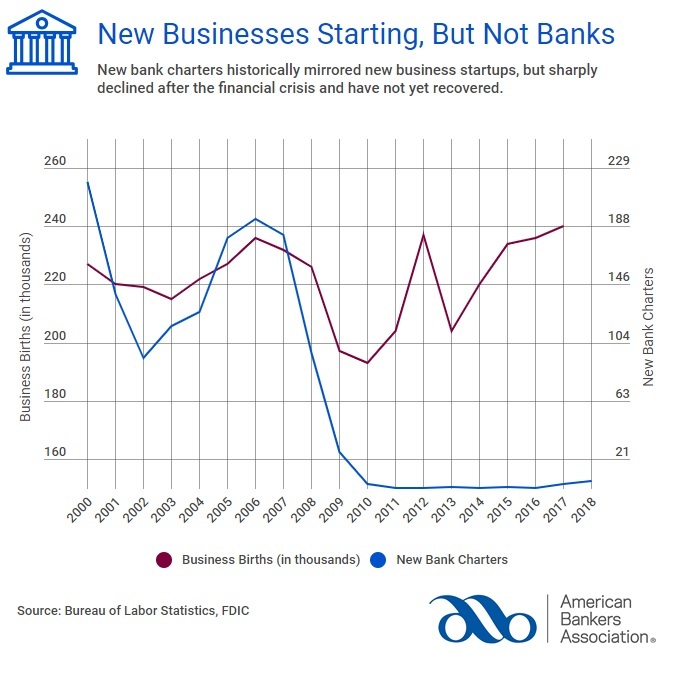 New bank charters historically mirrored new business startups, but sharply declined after the financial crisis and have not yet recovered. The forces that challenge banks every day are the same as those that make starting a new bank nearly impossible. Certainly, economic conditions have had an impact, including historically low interest rates. But new banks have been started in all phases of the economic cycle. For example, in 1990 and at the beginning of a severe recession, 191 de novos began operation. Over the next 10 years, 1,500 new banks opened, as investors spotted opportunities and were willing to risk their own money to capitalize a new bank. Contrast that with the latest cycle, which started similarly with 181 new charters in 2007 (the beginning of the recession) but fell off very quickly over the next two years. 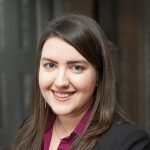 Since the Dodd-Frank Act was enacted in 2010, there have only been thirteen true de novos, five of which began operations just this year. Even more stark is the contrast between the lack of de novo bank formations and the recovery of new business formations across all industries since the recession. Because de novos help fill gaps in the provision of banking services, provide customers more choices and ultimately strengthen the banking sector, ABA is urging policymakers to remove barriers to new bank formation. Read more.